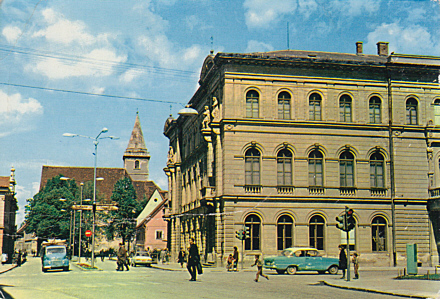 Built 1871-1873 as "Stadttheater und Redoute"/"Gradsko Kazalište" for the city of Vara&zcaron;din by Ferdinand Fellner & Hermann Helmer. 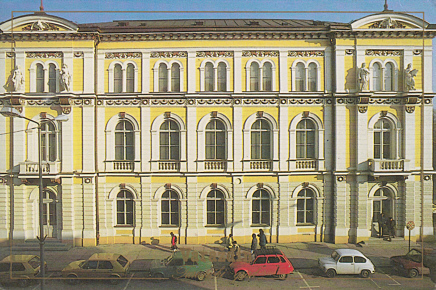 Opened 25 Sep 1873 with Ivan Kukuljevicá-Sakcinskoga's "Poturica". The complex includes a theatre, a ballroom, and a café and restaurant. Later alterations by Alexander Freudenreich. Conversion of the café and restaurant into a public library. In the 1980s, extension of the orchestra pit and alterations of interior decoration to modern designs. Ca. 600 seats. 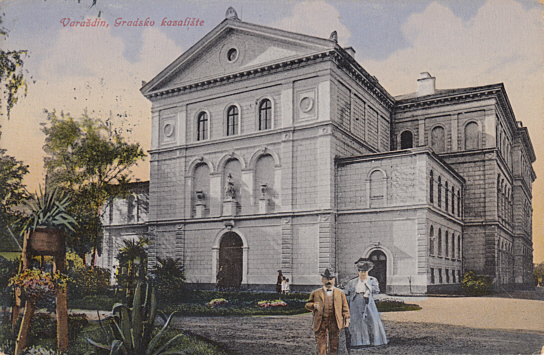 Front Text: "Pozdrav iz Vara&zcaron;dina - Stadttheater - Gradsko kazalište"
Front Text: "Vara&zcaron;din, Gradsko kazalište"
Front Text: "Var&zcaron;, Gradsko kazalište"
Publisher: K. J. Bp. 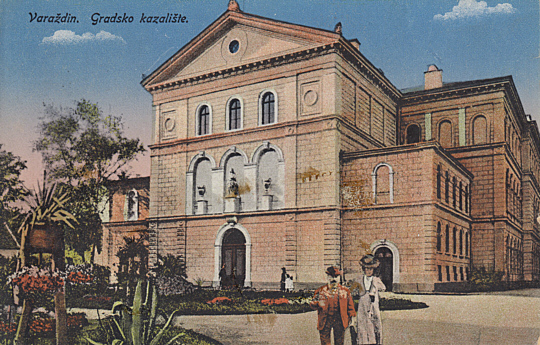 Zakonsko zasticeno; 1917/21 Bc. 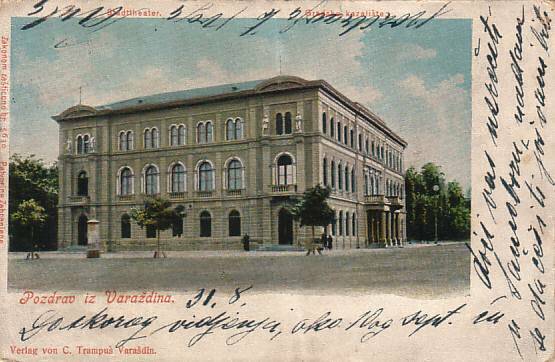 Reverse Text: "Vara&zcaron;din - Kazalište"
Reverse Text: "Vara&zcaron;din, Zgrada Hrvatskog narodnof kazališta"